Background and objective Hyperglycemia in pregnancy is a risk factor for cardiovascular disease and postpartum (PP) diabetes. 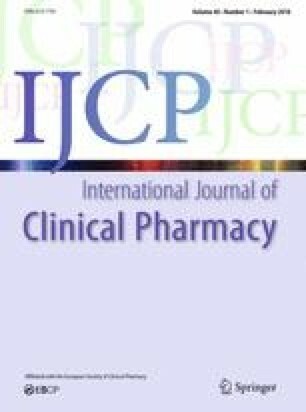 This study aimed to assess the impact of the clinical pharmacist-assisted program (CPAP) of optimizing drug therapy and intensive education on main management outcome measures of patient knowledge about diabetes, Quality of life (QoL) as measured by SF-36 including maternal complications, fasting plasma glucose (FPG) control, and HbA1c. Method This is a randomized controlled study. Pregnant (20–28 weeks) patients with hyperglycemia received CPAP (n = 51) as compared with conventional management (n = 34). Patients were then followed up for 6 weeks pp. Results A significant change was shown in the intervention group for diabetes knowledge (3.47% vs. control 2.03%, P < 0.05) and three aspects of health-related QoL. The need for caesarian delivery (58.8% vs. control 35.3%) and severe episodes of hypoglycemia (0% vs. control 8.8%) were significantly (P < 0.05) reduced in the intervention group. Six weeks PP reduction in HbA1c values was greater in the intervention group (− 0.54% vs. control − 0.08%, P = 0.04) with more FPG-controlled patients during pregnancy (94% vs. control 64.7%). Conclusion Clinical pharmacist assisted services in the management of pregnancy hyperglycemia fundamentally and significantly improve knowledge and disease control. The online version of this article ( https://doi.org/10.1007/s11096-017-0550-3) contains supplementary material, which is available to authorized users. We thank the National Center for Diabetes, Endocrinology, and Genetics for opening their doors and all the appreciation to the center’s honorable healthcare staff in providing the needed support. This project was funded by The University of Jordan- Deanship of Academic Research. American Diabetes Association (ADA) Standards of medical care in diabetes. http://professional.diabetes.org/sites/professional.diabetes.org/files/media/dc_40_s1. Accessed 19 Jan 2017. Centers for disease control and prevention (CDC). National center for health statistics, National diabetes fact sheet. https://www.cdc.gov/diabetes/pubs/pdf/ndfs_2011.pdf. Accessed 3 Sep 2016.